FRIDAY 10TH MAY – TOM CARRADINE’S COCKNEY SING-A-LONG – BAGNALL ROOM, 25 SACKVILLE ROAD – 1.30PM – 2.30PM. TICKETS ARE £5 TO INCLUDE REFRESHMENTS AFTER ENTERTAINMENT. FOR FURTHER INFORMATION OR TO BOOK TICKETS PLEASE CONTACT THE OFFICE ON 01424 215116. FRIDAY 24TH MAY – GRAND AUCTION OF PROMISES – COODEN BEACH GOLF CLUB, 7PM. 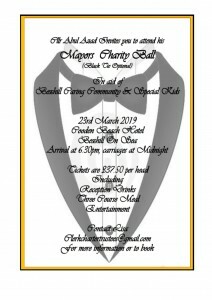 JOIN US FOR AN EVENING OF FUNDRAISING WITH AUCTION LOTS OF ALL SIZES FOR ALL POCKETS. COME PREPARED TO HAVE FUN AND TO BID GENEROUSLY. TICKETS COST £20 EACH, TO INCLUDE A BUFFET AND A GLASS OF WINE OR SOFT DRINK ON ARRIVAL. PLEASE CONTACT OUR OFFICE TO BOOK TICKETS. 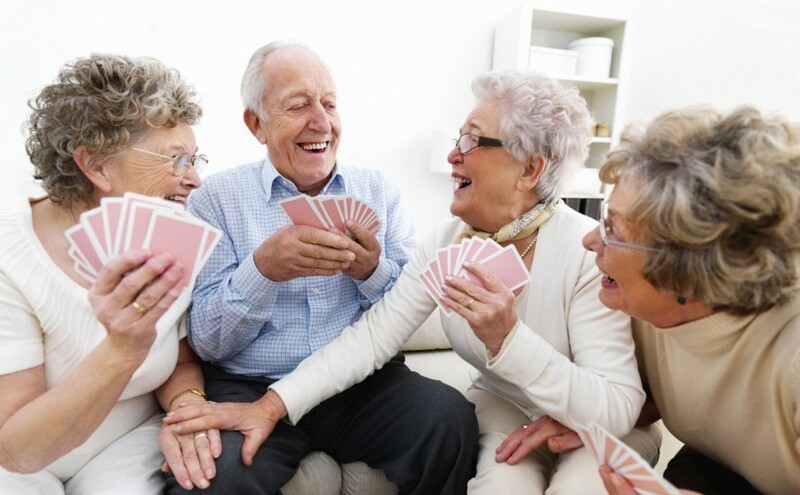 WEDNESDAY 26TH JUNE – FREE BINGO AT THE DE LA WARR PAVILLION – HASTINGS DIRECT COMMUNITY PROGRAMME ARE HOLDING A FREE PRIZE BINGO AND AFTERNOON TEA ON STARTING AT 2PM IN THE AUDITORIUM. LOTS OF PRIZES TO BE WON. FREE TEA/COFFEE AND CAKE WILL BE AVAILABLE. TO BOOK YOUR PLACE PLEAE CONTACT OUR OFFICE. 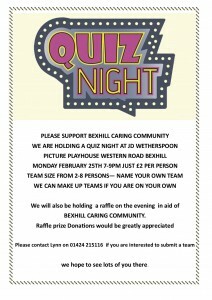 Thank you to the amazing amount of people who came along to the Quiz Night at Weatherspoon’s Picture Playhouse. We raised an amazing £354 pounds and had a great time. Thank you everyone for your support and thank you to Weatherspoon’s for hosting this to raise funds for us. 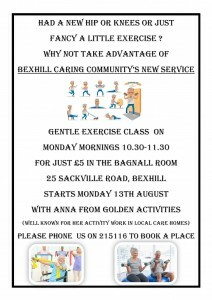 Good afternoon, thank you for your help a moment ago, didn’t know you existed in Bexhill. I look forward to receiving my form in the next couple of days. We are looking for some help moving some furniture in doors.